Hard water is water that has high mineral content. Hard water is formed when water percolates through deposits of limestone which are largely made up of calcium and magnesium carbonates. In domestic settings, hard water is often indicated by a lack of suds formation when soap is agitated in water and by the formation of lime scale in pots, kettles and water heaters. 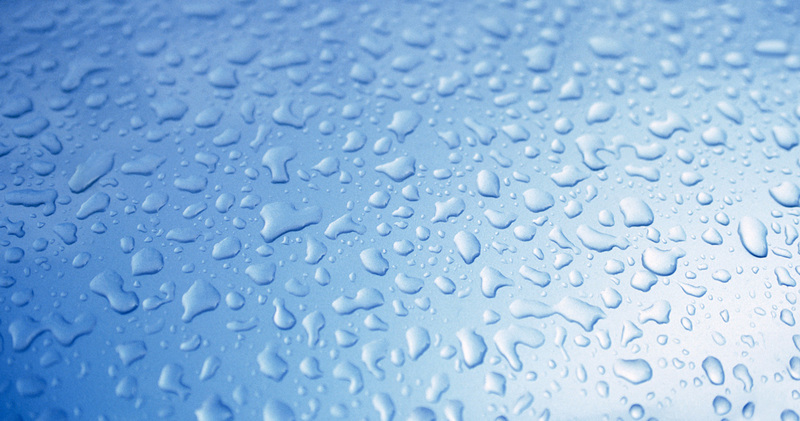 Wherever water hardness is a concern, water softening is commonly used to reduce hard water’s adverse effects. How does a softener work? The water softener is a mechanical appliance that is plumbed into your home’s water supply. All water softeners use the same operating principle—They trade the hardness minerals (calcium and magnesium) for something else, in most cases sodium. The process is called ion exchange. The heart of a water softener is a mineral tank. It’s filled with small polystyrene beads, also known as resin. The beads carry a negative charge. Calcium and magnesium in water both carry positive charges. This means that these minerals will cling to the resin beads as the hard water passes through the mineral tank. Sodium ions also have positive charges, although not as strong as the charge on the calcium and magnesium. When a very strong brine solution is flushed through a tank that has beads already saturated with calcium and magnesium, the sheer volume of the sodium ions is enough to drive the calcium and magnesium ions off the beads. Water softeners have a separate brine tank that uses common salt to create this brine solution. In normal operation, hard water moves into the mineral tank and the calcium and magnesium ions move to the beads, replacing sodium ions. The sodium ions go into the water. Once the beads are saturated with calcium and magnesium, the unit enters a regeneration cycle. First, the backwash phase reverses water flow to flush dirt out of the tank. In the brine draw phase, the concentrated sodium-rich salt solution is carried from the brine tank through the mineral tank. The sodium collects on the beads, replacing the calcium and magnesium, which go down the drain. Once this phase is over, the mineral tank is rinsed of excess brine and the brine tank is refilled. Is city water considered soft? We have not found any cities in our area, Southern Minnesota, that provide soft water. None of them provide water that is less than one grain-per-gallon of hardness. Most have moderately to severe hard water. Most government agencies recommend that private well water should be tested a minimum of once per year. Drinking water supplies obtained from shallow wells and surface water sources should be tested more frequently (i.e. seasonally), as they are more susceptible to contamination. It is important to test your drinking water at the tap and at the source. If you have city water you usually do not need to test your water for health concerns, however, we can help you with it if you want it tested anyway. What kinds of contaminates can you test for? We commonly test water for hardness, iron, total dissolved solids (TDS) and pH, however, we can send your water to third-party, certified labs to test for nearly anything. Some of the common things we send off tests for are coliform bacteria, nitrates and arsenic. But we’ve also helped people test for lead, various pesticides and glyphosate (Roundup). Reverse Osmosis or “RO” is a water purification technology that uses a semipermeable membrane to remove ions, molecules and larger particles from drinking water. It’s far more complex than this but basically think of it as a super fine screen that only molecules of water can pass through. What is UV or ultraviolet disinfection? The ultraviolet (UV) treatment process is an extremely quick physical process. Ultraviolet light mutates and/or degrades DNA. DNA (or deoxyribonucleic acid) is the part of the cell that gives an organism its instructions on how to function and reproduce. When the DNA is damaged, the organism becomes unable to function because its “instructions” are garbled or missing. An organism that has no instructions cannot function and reproduce and cannot cause infection. It is rendered harmless and eventually dies. In the UV disinfection process, water is purified as it runs through a stainless steel chamber (also called a “reactor”) that contains a special UV- producing lamp. As the water flows past the lamp, the microbes in the water receive a lethal dose of UV. When should I consider a tankless water heater? When you’re ready to save energy and therefore save money! No really, it’s hard to justify upgrading to a newer water heater if your current one is working, however, you should research tank-less options now so when the old one finally gives out you don’t have to make a hasty decision. Someone told me to test my toilets for leaks. How do I do that? 3. Put the lid back on. 4. Do not flush and wait at least 10-15 minutes. Then look in the bowl—if the water in the bowl contains any color from the tank the toilet is leaking and needs to be repaired or replaced. When my tub or sinks drain they make a lot of glugging noises should I be concerned? Possibly. A properly vented drain, waste and vent system (your drains) should not “glug” when you drain a large volume of water. If they do, it can indicate a blockage in the system and a plumber should be consulted to help find the issue. Do you sell and rent water treatment equipment? Yes. You can purchase or rent many of our products. We also provide monthly payment plans to break up larger purchases. Please call us at (507) 388-3361 for more. If I rent or buy your softener do I have to use your brand of salt? No. You’re welcome to use any salt you choose. In our experience, we’ve found the best salt to use is Solar Salt so we recommend this to our customers and it’s also the only type of softener salt we sell. Will you deliver salt to me even if it’s not your brand of softener? Absolutely. We love all water softeners, no matter who their mother was! What kind of salt should I put in my softener? We recommend Solar Salt and it’s also the only type of softener salt we sell. We do not recommend pellet type or rock salt. How do I reset my softener / filter timer? Typically the instructions are printed on the face of the unit or inside the cover. Most digital models have a “clock” button to press and you use the up/down arrows to set the unit to the current time of day. Remember you should be setting the timer to the current time of day—NOT the time you want it to regenerate. The time of regeneration is typically factory set, if you need a different time of regeneration please call (507) 388-3361 for options on your unit type. The little motor on my iron filter seems to run at all times of the day, is this normal? There are many versions of iron filters that use air pumps to oxidize the iron. The air pumps have various timers and relays to start the pumping process, if the pump runs for about 10 minutes and shuts off it’s likely normal operation and you shouldn’t be concerned, however, if it’s been running for much longer than 10 to 15 minutes you might want to call for service. My softener / filter is flashing “softening” or “filtering”. What does this mean? Many digital models flash the word “Softening” or “Filtering” when there is water flowing through them, this is not to be confused with “regenerating” it’s only indicating water flow. If all the water is off in the house and has been of for a few minutes this flashing should stop. If it doesn’t you might want to call for service. The unit will flash or display “regeneration” or “regenerating” during its regeneration process. Regenerations of various models of softeners and filters can take anywhere from 20 minutes to four hours. If it seems too long call for service. My softener / filter is flashing an error code. What should I do? Many error codes are due to power fluctuations and failures and are simply reset by our technicians. However sometimes it can indicate the PC board is bad and may need to be replaced. If you see an error code, write it down and call for service. Be sure to tell the person coming what error you see, we might be able to walk you through a reset over the phone. Yes. Learn more about our easy and convenient Online Bill Pay today! Can I break up large purchases into monthly payments?